A short speech by the Deputy Prime Minister, Nick Clegg, took the theme of a perceived obsession with short termism. 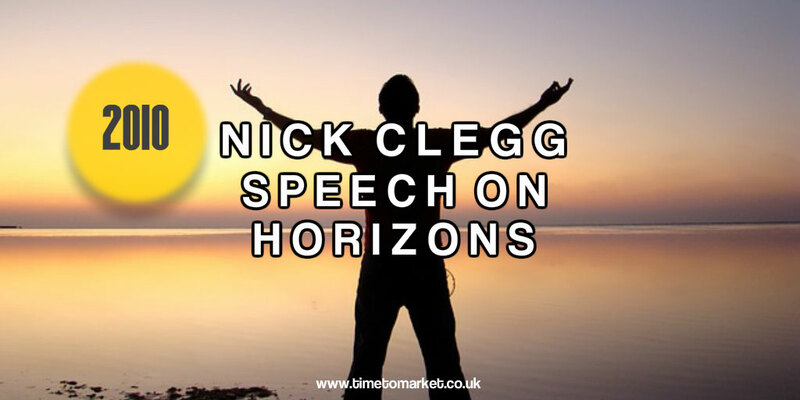 Titled, Horizon Shift, this Nick Clegg speech aims to debunk this obsession and explain why the UK’s coalition Government has an eye upon a longer term horizon. The structure of the speech was sound. Nick Clegg laid out a five-part structure that he would follow. And follow it he did. But his liking for lists did get the better of him when he came to his fifth point…which comprised a seven-part list! If this had been a PowerPoint presentation his audience might have succumbed at this point. Death by PowerPoint, perhaps? This particular classical simile does of course continue with the inevitable shipwreck of Ulysses. Then, the loss of all his men and Ulysses’s capture as a love slave by Calypso for seven long years. Ah, the joys of the long term…and selective quoting. Still, it makes some change from the stormy metaphors of a George Osborne speech. Quotations were plentiful. So, we spotted quotes from John Stuart Mill and Oscar Wilde. There was one from Benjamin Disraeli, an unnamed American actress and Janet Andersen. In fact there was a whole palette of political wisdom for this coalition Government. Human nature supports the short term…that’s really what it’s all about. 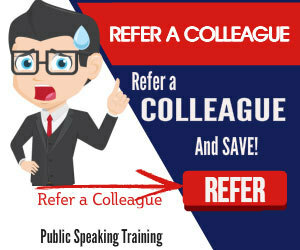 Of course when you have some speech aims that you want to achieve you can always discover plenty of tips for public speaking from Time to Market. 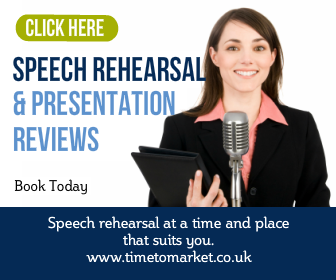 And with more than 100 tips available, there’s surely something for every speech opportunity. And when your horizons stretch that little bit further, then you can also consider more specialist public speaking training. Because a public speaking course or coaching session is a ready route to public speaking confidence. So, when the time is right, then please don’t hesitate to get in touch. Hey, thanks for the great post. Honestly, about four months ago I started using the internet and there is so much nonsense out there. I appreciate that you put excellent content out that is clear and well-written. Good luck and thank you for the great article.